Last year I planted three trillium bulbs and nothing happened, so I assumed they'd just died and that was that. 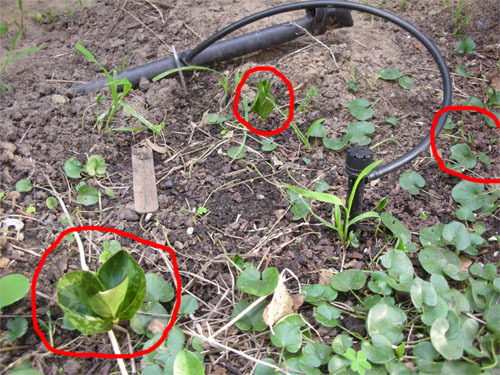 But now they appear to be alive in there (I have circled them so you can sort of see them through the weeds). Very exciting! 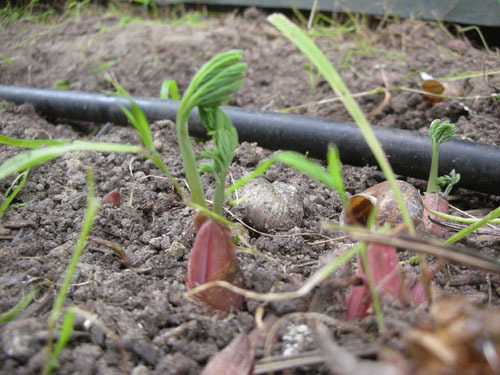 Also showing signs of life after a suspected death-from-neglect, the dicentra (bleeding heart). This one I should have expected to come back, as it's a native so it must be tolerant of long spells of no water. 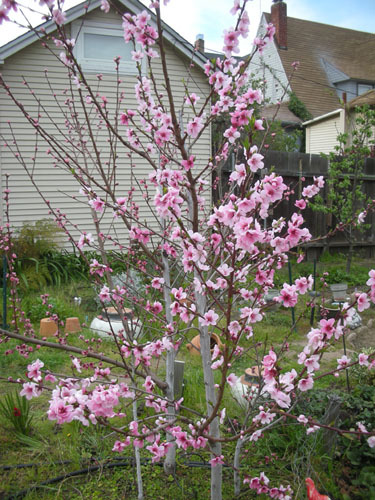 And on the Holy Cow front, look at those nectarines, and consider that every one of those flowers wants to become a fruit. Trillium especially is very fussy. You should be proud. I know! I was convinced I'd killed it when it didn't come up last year. Of course, let's see if it decides to bloom, which is the real test.